On a typical day, our body makes enough glutamine to meet ordinary needs. 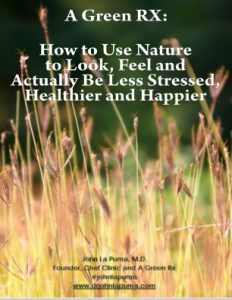 However, when we’re under stress (emotional or physical – from heavy exercise to mental illness, injury or surgery), we may not produce enough glutamine to address the stress hormones flooding our body. That’s when taking a supplement comes into play. Additionally, a glutamine supplement is often helpful for individuals with medical conditions such as GERD, leaky gut, or Irritable Bowel Syndrome, where their glutamine levels may be consistently low. You can get glutamine through foods, such as meat, fish, legumes, and dairy. Two particularly high vegetable sources of glutamine are raw (uncooked) cabbage and beets. L-Glutamine supplements are usually in pill form, but you can also find a powder version which should be mixed with a cool liquid. It’s critical to remember: Always use cool, never hot foods or liquids. Heat destroys glutamine. Unless otherwise recommended and supervised by your health practitioner, a glutamine supplement is not recommended for children under age 10 or for people with kidney or liver disease, or a history of seizures. Proper dose is crucial to how well L-glutamine works. Always consult with your doctor before adding a supplement such as glutamine to your diet.